This rear sprocket is used on the Chinese 50cc-125cc engines. 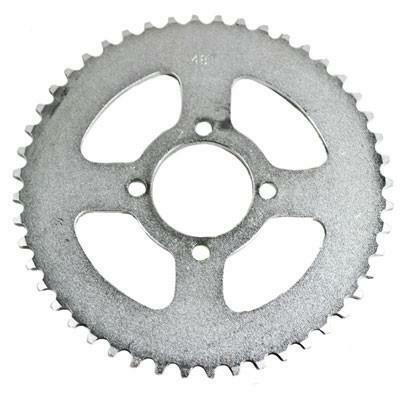 This sprocket has 50T and is compatible with #420 chain only. Be sure to measure your chain or current sprocket before ordering. 420 chain has 1/2" pitch and 5/16" roller diameter.